The 22-member delegation led by the North’s ceremonial head of state Kim Yong Nam landed at Incheon International Airport, the Yonhap news agency said. 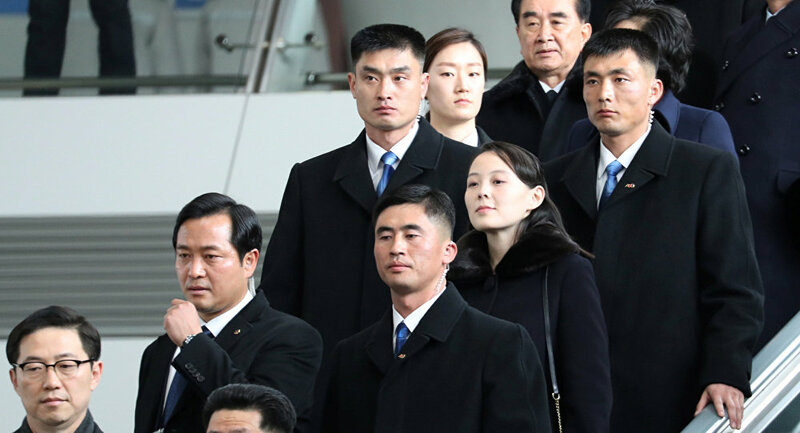 The North Korean leader’s younger sister Kim Yo Jong, was surprisingly confirmed this week to attend the opening ceremony of 2018 Olympics in Pyeongchang, becoming Kim’s first immediate relative to cross into the South. Kim Yo Jong is the deputy chief of the agitation and propaganda department of the Central Committee of the Korean Workers' Party. As Yonhap agency notes, a member of the DPRK leader's family from the Kim dynasty will visit South Korea for the first time. In Seoul, it is believed that Kim Jong-un's sister was included in this list, because often families of foreign leaders come to the Games. The XXIII Winter Olympic Games will be held in Pyeongchang from 9 to 25 February 2018.